Visitor to the Therapy Studio Declan Brennan Helps Pitreavie to Gold and Scottish record! (6.30pm update Saturday), Full now until Monday 6.45am normal availability next week! Very humbled to help in a very small way these two guys who made up one half of yesterday’s 4 man Scottish Relay team at yesterday’s Emirates stadium, its especially poignant that pictured at the bottom, Pat Swan was given a chance to compete for his country after being on the fringes for a few years to get back to the top where he belongs! Keep it up Pat, well done to Greg who was also part of last years Scotland’s Commonwealth team in Glasgow last year. Both Guys are Coached by Piotr Haczek who also trains Jamie Bowie and Gemma Nicol! Gemma was picked for this international but politely declined her offer however she is intending on competing this year and maybe even pulling on a Scottish jersey very soon! Regular Visitor Jamie Bowie pictured here behind British 4×400 team mate Conrad Williams, Jamie came out on top!!!! Well done to Jamie his team including Coach Piotr Haczek. Full today (Sunday),all other availability on the Pages section. To reserve a slot text or email. After leading the race for the majority of the race, Aidan just ran out of steam, for his first attempt coming 3rd in an international arena is pretty damn good! Well done Aidan. Take a Mountainbike, take a 6mile lap in the hills in the middle of winter, give them a Goal like 24hours and tell them to go! What Happens you have a Lassie from Kirkcaldy who is a regular to our studio named GILLIAN PRATT sponsored by Leslie Bikes and she not only completes the feat, was 1st Female but with over 100 other solo men doing the event, she comes well inside the top 20!!!!! What can you say, WONDER WOMAN! Probably! Well Done Gillian!!!! 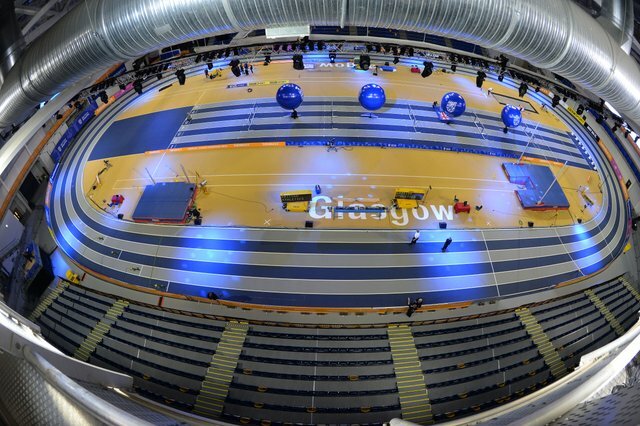 Regular Visitors Pat Swan, Internationlist Jamie Bowie and Commonwealth athlete Greg Louden were all in action in last weeks Scottish Indoor Open. Speaking to Greg yesterday at the Practice, he stated that both Jamie and himself scored PB’s at the 200, pictured here in 4th place, Pat Swan also ran well and has been asked to be a reserve for this weekend’s International. 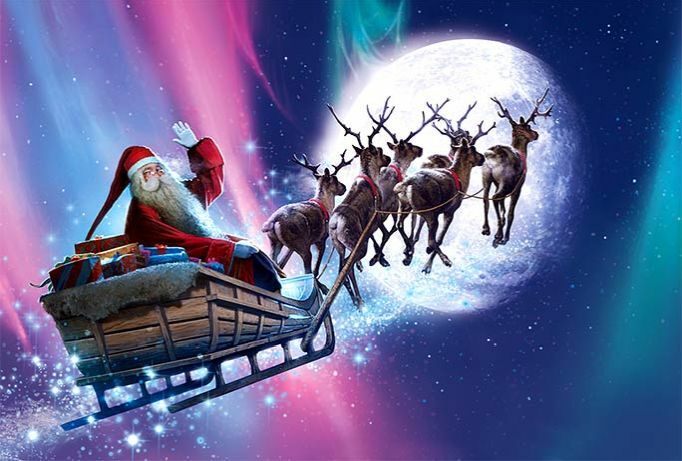 Availability over Christmas, have a G8 Time! Local Boy from Dunfermline and Visitor to the Studio Aidan Thompson gets a Scotland Call up to run in Northern Ireland next Month after turning 18! Vouchers ready for Christmas! You can pay by Bank Transfer or PayPal and we can send them out to you. 5 & 7pm available this evening! Normal Availability for the whole of next week! Regular to the Therapy Suite Lewis Miller scores a Fantastic 4th Place at today’s East District League Match at Alloa. Highest ever place for Lewis Brilliant Result on-wards and upwards! Friend and former Club Mate Ian Stewart(5535) helps Scot’s Male 55 to a credible Bronze Medal! 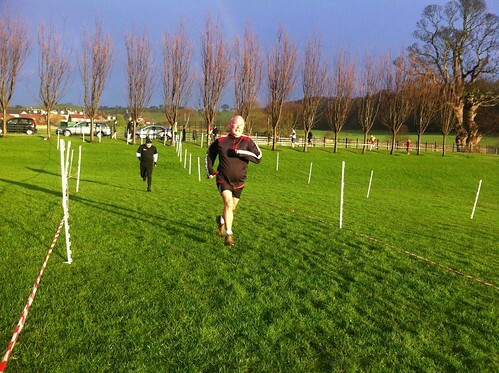 Scottish vets M55 team at British & Irish XC international in Nottingham. Colin Feechan & Paul Thompson worked together to eventually overhaul an English and Irish rival. Paul finished 5th M55 in 28:40, Colin Feechan was 6th in 28:42, Willie Jarvie was an excellent 12th in 29:18 and evergreen Ian Stewart was 15th in 29:47 to claim a very close 3rd team place. Visitor to the Studio and a Local Dunfermline Boy(Aidan Thompson)bound for Stardom. Aidan who had trained for years by John Wands(Pitreavie)until this summer where his career has taken him study at Stirling Uni now see’s Aidan train with Central. Aidan’s fantastic performance in his first Senior Championship race saw him come in 25th which assisted his club in becoming 2nd Senior Team, brilliant effort! Few appointments remaining this weekend, Sunday 1pm or 5pm, full on Monday. 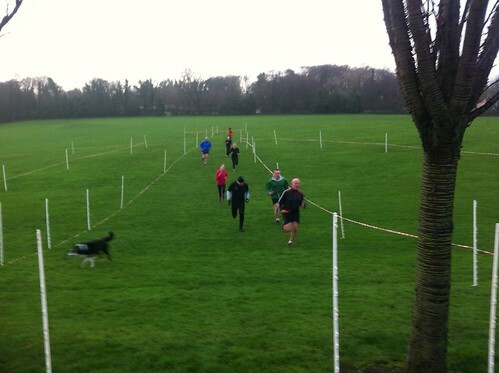 Picture of Kerry Gibson(Fife AC)running at Bellahouston’s National Cross Country, Visitor to the Studio. Pictures from last weekends Glen Clova Half, Nicola Orr, Jane Macdonald, Laura Foster who use our services pictured here. 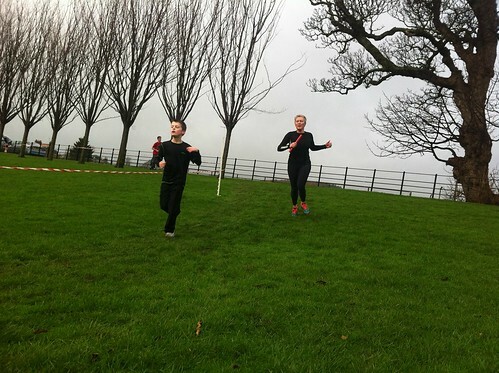 Morag McLarty who comes along to the Therapy studio gets 4th at the Nation 4k Cross Country Champs in Bellahouston. 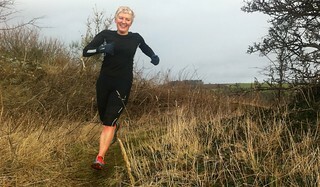 Regular at our Therapy Studio & Beach Sessions Shelagh Davidson Breaks 4hrs for her 1st Marathon in New York. Well done to Shelagh Davidson, 1st Marathon today, a sub 4 in New York! The event is about circumnavigating Ben Nevis starting from Fort William the Outdoor Capital of the UK. It is a 72km journey of discovery about our wonderful environment, about yourself and for some, we have no doubt, about your bike. It is a stage race where the aim is to gather points throughout the course and, for those at the front, it can be a very tactical race! Check out 2010’s official event film here. Check the Pages Section for more availability. 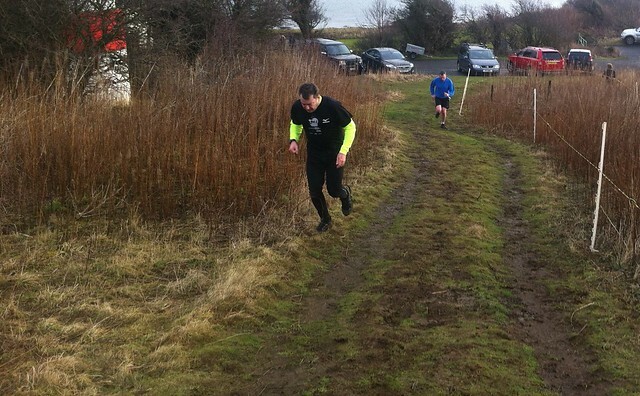 Not very many Fitness Instructors can do Ultra Races, Well done to Stuart from Step Up Fitness, Rosyth. Central Athletics Club take both the Senior Men and Women’s Title at this weekend’s Scottish National Cross Country Championship at a Blustery Cumbernauld. 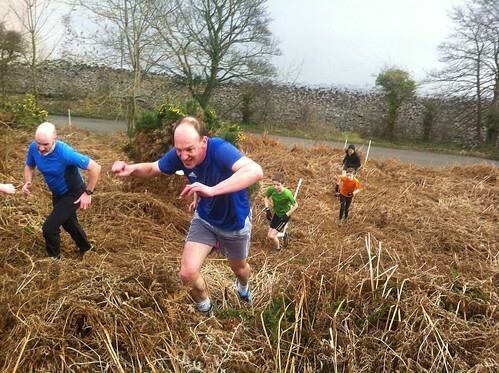 Beacon Runner Neil MacNicol Came in a Fantastic 2nd in 5hrs 12mins in The Jedburgh 3 Peaks 38miler today! 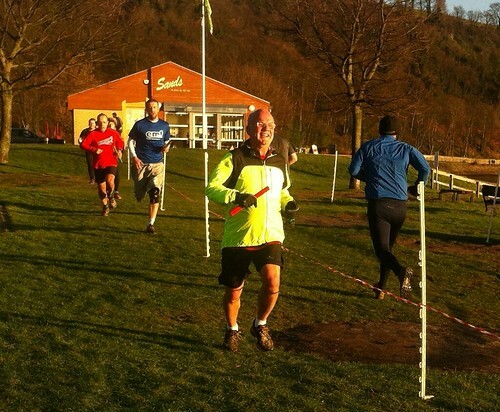 Good Luck to Beacon runner and last years winner of the Jedburgh Three Peaks 38mile Challenge Neil MacNicol. Half way round, Neil is lying in 2nd place. 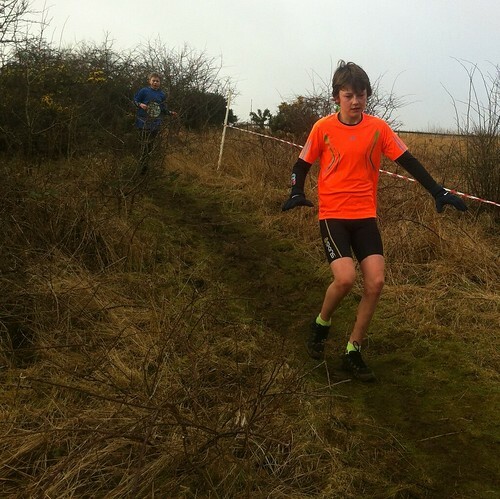 It’s the start of the cross country season and some 2241 athletes – a 20-year high figure – are due to compete for 538 teams at this year’s Scottish National XC Relays at Cubernauld House Park. 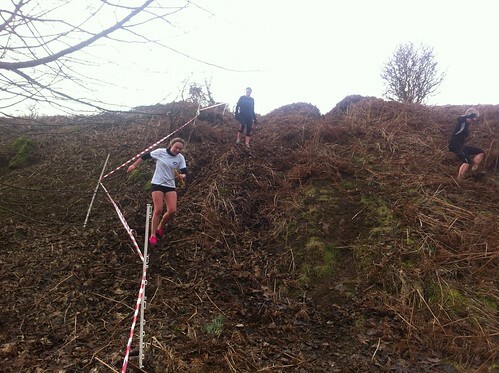 The race is the first of six events making up The Lindsays Scottish Cross Country Season which will end with the National XC Championships in Callendar Park, Falkirk, on 22 February 2015. Some of Scotland’s finest athletes are taking part at Cumbernauld, including GB international Laura Muir (pictured) who returns after her superb run last year for Glasgow University when she clocked the fastest women’s leg, and who is joined by Team Scotland colleagues Callum Hawkins of Kilbarchan AAC and Central AC’s Ross Houston. Muir competed for Team Scotland at the Commonwealth Games in the 1500m final at Hampden, while Hawkins ran the 10,000m track final and Houston the marathon at Glasgow 2014. 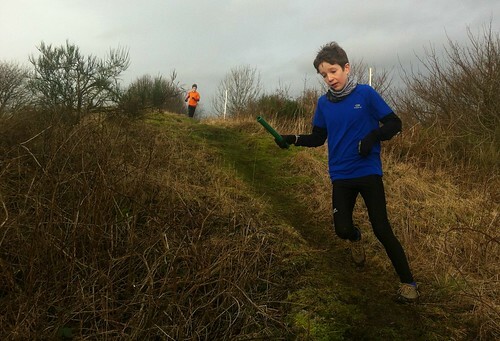 Enjoy some competitive cross country in the Cumbernauld mud as clubs the length and breadth of Scotland descend on the venue for an afternoon of racing. Age group races start at 12.30pm, with the Senior Women’s race at 1.40pm and the Senior Men’s race at 2.40pm. Great to see these two great athletes back at the Studio getting some maintenance treatment. Reece Strathern, from Dunfermline who recently paid us a visit came 3rd In The British Cage fighting Open Championship. New PB and winning Bronze for Greg Louden 47.48 at last weekends British Universities Under 23. On top of this great result, Greg represents his country in next months Commonwealth Games in the 4×400. 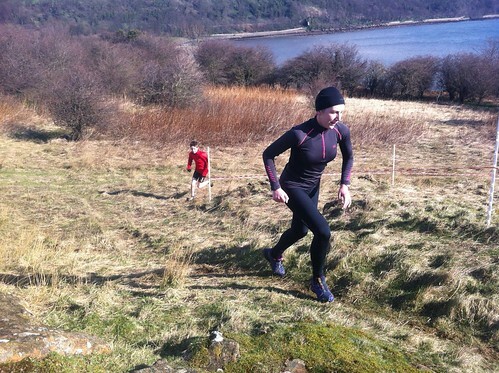 Massage Regular Gillian Pratt came in 2nd Lady in the Solo category in last weeks 10 Under the Ben Mountain Bike Race! Gillian had done the event for the first time last year where she rode as a pair(having a break while your partner rides) however this was the first time as a solo, she came in 35th Overall. 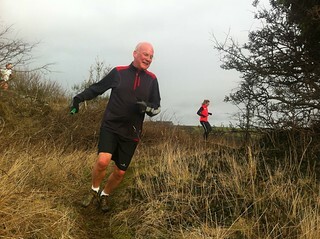 Regular Visitor, Darren Firth ran brilliantly in the 95mile West Highland Way Race clocking 23hrs 17mins, what a man! 46.8 for Jamie in last nights Switzerland track event, no one has yet achieved the 45.45 exceptionally high standard however Jamie is only a whisker away. Jamie has already qualified for the Commonwealth Games this year in the 4×400 metres. Regular Users to Tommy’s Therapy Table, Jamie Bowie & Greg Louden Beat the Qualifying Scottish Commonwealth Standard of 3.07.00 in Belgium tonight. Jamie in the blue and Greg number 9941, pictured with Grant Plenderleith(9987)Kris Robertson clocked 3.06.58 in the 4×400 metres in Namur, Belguim. Appts over a week can be found on the Pages Section. (Mon 19th) 1pm (Tues 20th) 11am, 1pm (Wed 21st) 1pm, 3pm, 5pm. 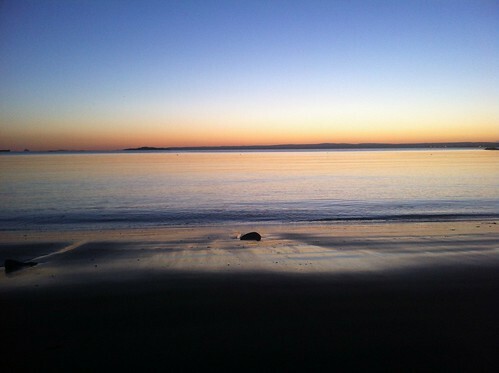 Just a reminder no beach sessions on this weekend due to Easter, a lot of our regulars have holiday/family commitments. 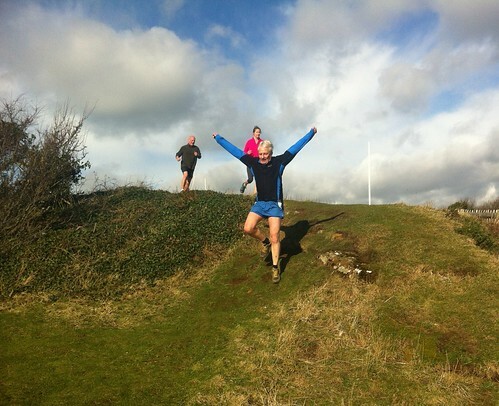 Next one is Sat 26th April, 9am. The 9pm tonight has became available. Treatment table is full today, tomorrow and Saturday with the Sunday 7pm still available. 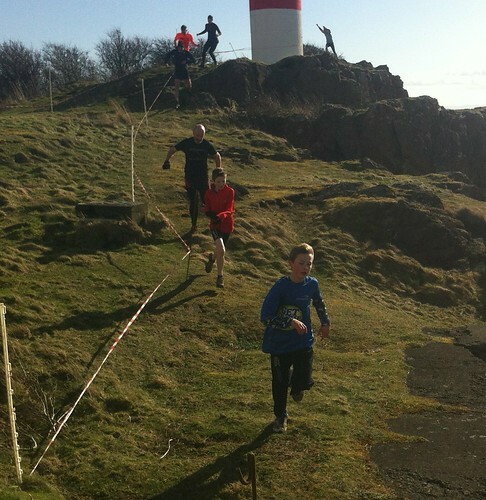 There is no training at Aberdour this weekend as it is Easter and people have family commitments. 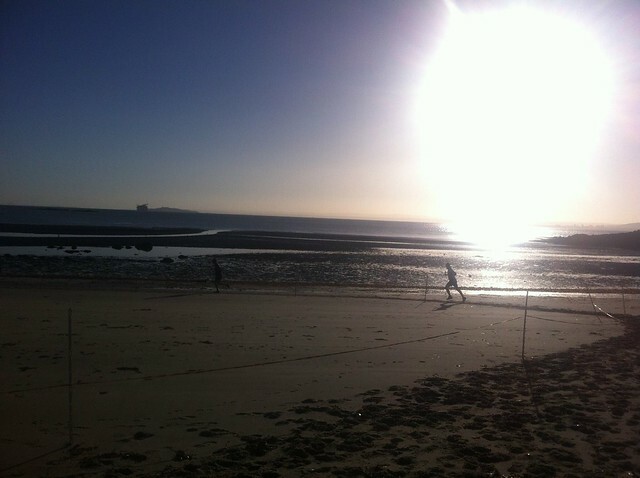 Next Beach Session Sat 26th 9am, normal Running Session. The route this week shall be relatively flat and on the grass, a bit like in the picture here! So were on this Sat 29th 9am. 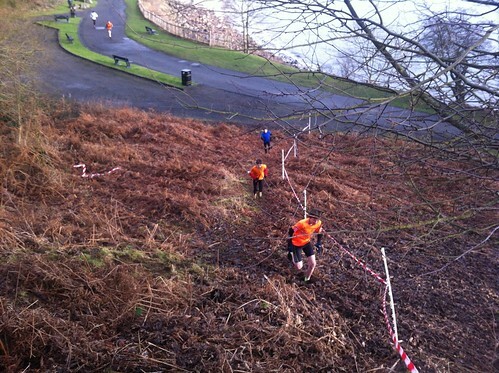 Very Limited Massage Availability now for the remainder of this week, Off Road Training is this Sunday 30th 9am Aberdour Beach, all abilities welcome. Updated Tuesday Afternoon, normal availability for next week Mon 31st during Easter Holidays! 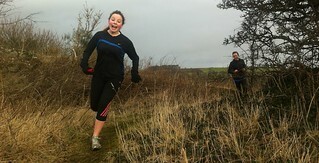 Some Great Pictures from this mornings Session, thanks to the 17 people in attendance. Monday 24th afternoon is free. Nothing Thursday 27th until 5pm. 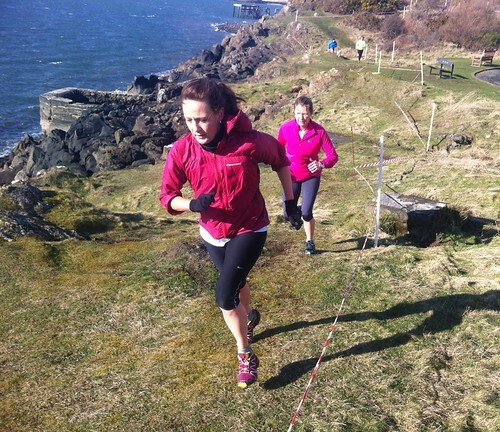 Beach training on Sat 22nd March at 9am, Aberdour Silver Sands. All Wendy’s competition had previous races this year which made it extra special to get a 2nd in her first indoor race for 7 years, here she is practising her reaction times with British Internationalist Jamie Bowie. Wendy ran 9.23, the race was won in 9.10. Wendy had commented that if she had the same benefit of more races she would have been closer or even won the event. Beach training off this Sunday. Next session is Sat 8th March 9am. Central, Male Senior team winners, Well Done! 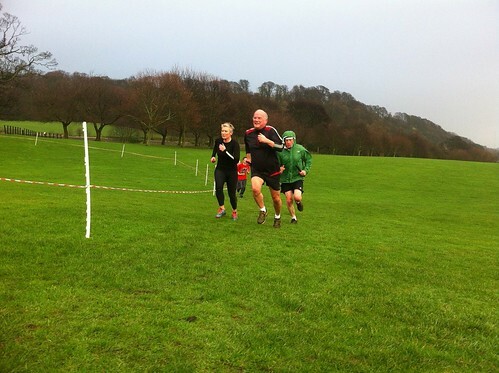 Sean Reilly pictured in the yellow, came in a few weeks ago for some Therapy, he was placed 21st Overall. A Picture of Wee Hamish (pictured below) in the black behind Ken, who done every effort this week!!!! Below Jamie in Recent Action at Glasgow’s Emirates Stadium. 9am start head towards the cafe then check out the signs. Available appointments updated until end March. 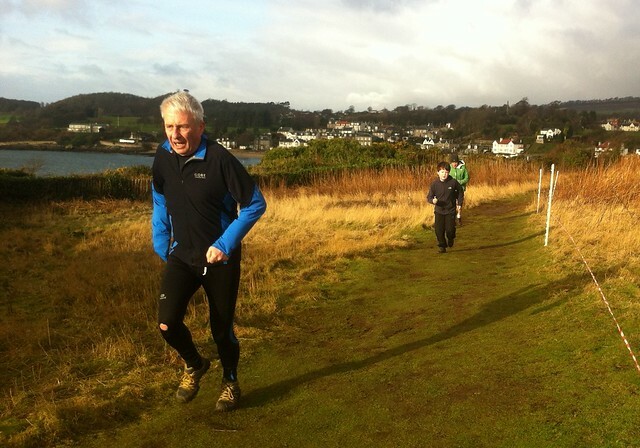 Aberdour Beach Training on Sunday 16th 8.30am this week! Ryan 2nd in Britain at Sheffield Indoor, 2 PB’s in a day!!!!! PB now 21.25, Scottish Record as Well!!!!!!! 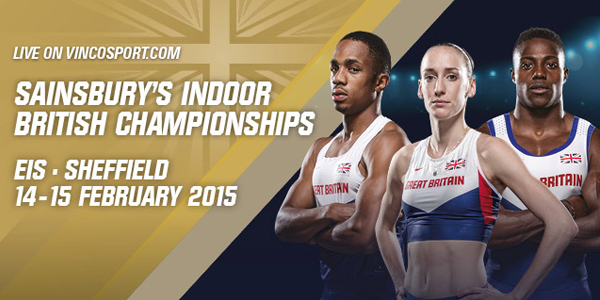 Regular to Tommys Table, Internationalist Jamie Bowie, Qualifies for today’s (Sun 9th Feb)400 British Indoor Final! Jamie has had a great 6 months, qualifying for last years World Championship in Moscow where he competed for the British 4x400m Semi Final, helping the team to the Final, won the Scottish a few weeks ago and competed in last weeks International in Glasgow where he reduced his indoor PB, he now the 2nd Fastest Ever Scot indoor at this distance, Jamie is trying to Qualify for this years Commonwealth Games, I’m very proud to be a part of his Team. Massage Regular and International Athlete Ryan Oswald records Lifetime Indoor best at Sheffield 21.36 today Sun 9th Feb, to get into British Final today. Ryan is pictured below in the number 198. 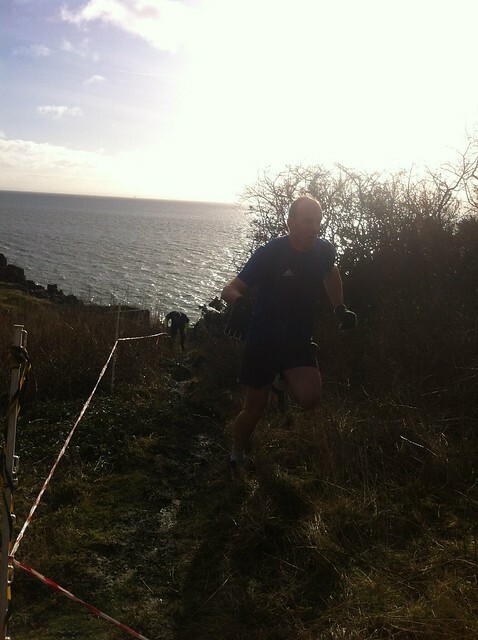 Another Fantastic Turnout and Work ethic on some new grueling trails and hills down at Aberdours Silver Sands. 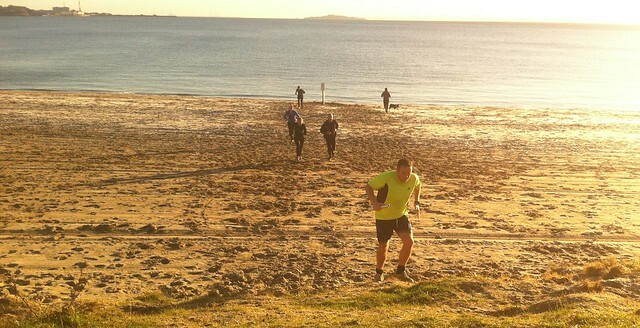 Beach training on this Sunday(2nd) at 12pm this week! Beach Training on this Sunday Midday! See you then! Any problems get in contact, there is now a specific page dedicated to the timings of the training! 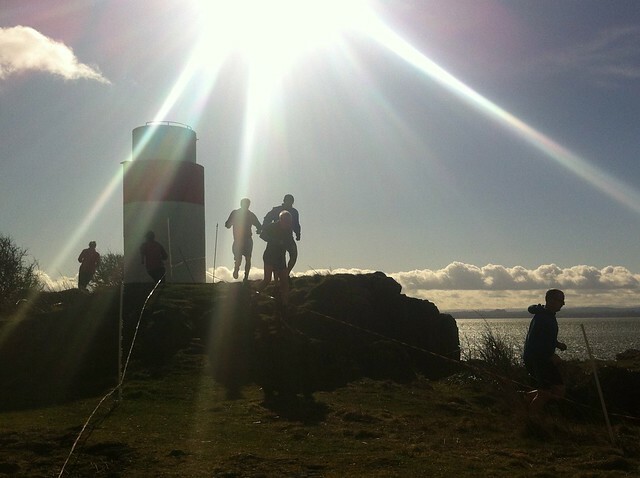 A picture of the Beacon Runners, half of which do our Weekend Sessions! Scottish Vets Masters Relay Champs results. Strathclyde Park. Team names & numbers from last Saturday’s Session now up! Next Session this Sunday 2nd Feb at midday! This weeks availability, next Beach Training on Sun 2nd at a slightly later time of 12 noon. Best ever Scottish indoor performance 45.98 Brian Whittle. Jamie has been coming into our practice every two weeks to get some well earned treatment since September last year. 18 At this mornings Beach Session! Very Well done to Fiona Vallance! First time doing a few reps! 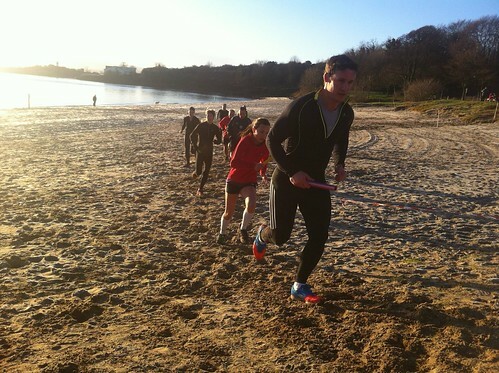 Beach Training on tomorrow morning rest of the dates now up as well! Appointments page updated this morning, full Today, Saturday and Sunday now. The very Best of Wishes to 2 other Internationals Gemma Nicol & Greg Louden, regular Visitors for Treatments are also competing for their country this Saturday at the Emirates Glasgow, in the 4×400. 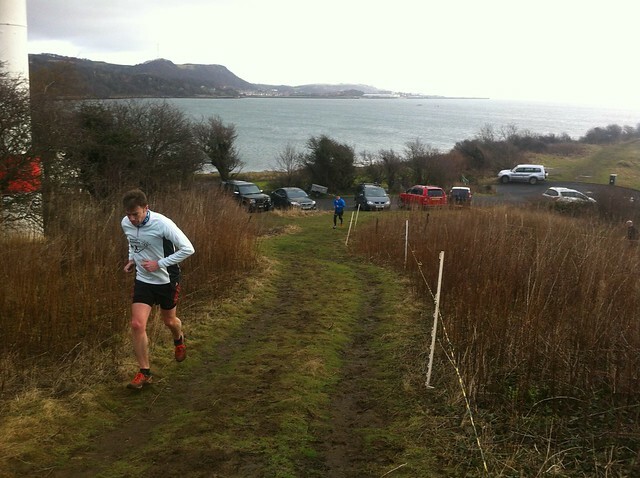 Best Wishes to Pitreavie’s Ryan Oswald(SCO)Internationalist from Burtisland. Ryan pictured here on the right has been using our services(Sports Massage) now for 6 months, coming into see us every 2 weeks, Ryan competes in the Scotland International team in this Saturdays 150 metres at Glasgow’s Emirates indoor stadium. Tommy’s Sports Therapy assists GB International Jamie Bowie to the 2nd quickest ever Indoor 400 metre by a Scot! Scotland and GB international Jamie Bowie produced the second fastest Scottish men’s indoor 400m run of all-time list at a busy Emirates Arena last Saturday. The National Open offered an early season opportunity to elite athletes as well as helping serve the wider membership and with hundreds of entry there was a big challenge for organisers and officials. Jamie’s dominant run Bowie’s 47.09 was the second best indoor run of all-time by a Scot over 400m with only Brian Whittle’s 45.98 back in 1988. ‘I’ve had a few PBs in the past 12 months and it helps confirm that you are doing the right things,’ said Jamie. ‘I’ve support from British Athletics and the National Lottery and that’s helped. My coach, Piotr Haczek, is back in Scotland full-time now and that is another big factor in this. I’ve good training partners, physio support in Tommy Lawrence and all these little things can make a difference for you. ‘I’m looking forward to next week and competing for Scotland in the Glasgow International. started. The arena was packed then and the atmosphere great but next week will be something special with 5000 people inside the Emirates. Inverness athlete Bowie’s previous best indoors had been 47.65 – set a few years ago in Sheffield at a British Champs. 2 appointments remaining for the week! Rest of our Availability can be found in the PAGES Section of the website! 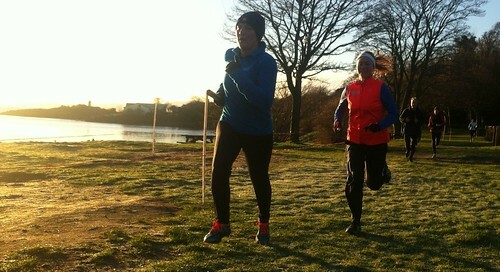 25 Participants at yesterdays(Sat 11th Jan) Beach Session, names now uploaded! 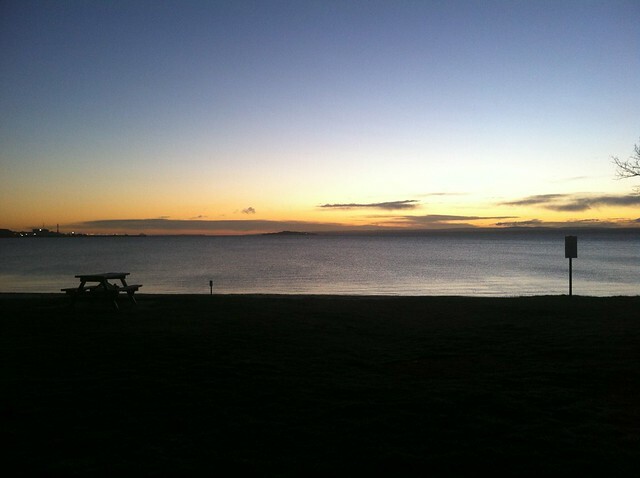 Beach session is on tomorrow (Sat 11th) 9am, Silver Sands Aberdour.